Welcome to our winter newsletter informing about current developments in the domain of arts and cultural policy & education and current EDUCULT projects. We hope you find some quiet minutes to read through our newsletter in this traditionally hectic time. To review our activities in 2012 we provide some visual insights on flickr and Facebook for you. Wimmer’s Quarterly, discussed whether or not the architecture of classical cultural institutions are part of a cultural policy programme, deciding on access and exclusion of audiences. 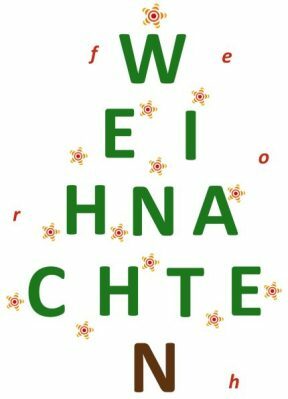 Enjoy the news – Happy holidays and good start for 2013! Or: Could it be that the architecture of cultural institutions is read as a cultural policy program, deciding on access and exclusion of the users? The Society of Friends of Music as main supporter of the Musikverein is celebrating its 200th anniversary. Just at the end of the Napoleonic wars, this private initiative of the Viennese bourgeoisie started its task to “bring the classical works on stage”, thus compensating its political weakness. Besides the concerts, a music school was started, later on developing into the conservatoire (Konservatorium Wien University). The AEMS project currently investigates the social and economic situation of educators in cultural institutions. As instrument two questionnaires have been developed which are now in a pre-test phase. We invite educators and managers of cultural institutions to participate in the survey and win a trip to Vienna for our final conference on 15 February 2013. Details for the conference will be announced in January. EDUCULT was commissioned by the department for EU-cultural policy of the Federal Ministry for Education, Arts and Culture in Austria to carry out a study on “Cultural and Cultural Policy Trends in Europe”. From September 2012 to April 2013, the Chamber of Workers and Employees Vienna (AK Wien) and EDUCULT offer a new project for schools combining music education, aesthetic research and professional orientation. In cooperation with the University of Applied Arts, EDUCULT consults you in all matters related to the arts. We get you in touch with young artists, we manage events for your business partners and staff in the MuseumsQuartier Vienna and organise exhibitions in your premises. Your company supports communication and dialogue and presents your corporate culture in public. 406 youngsters from Austria with multilingual competences have signed up for “SAG’S MULTI!” in 2012/13. They represent more than 82 schools from seven Austrian federal states and speak in total 45 languages. The first round has already taken place in November, see pictures on the right. “KONNEX” has started successfully. 27 youngsters have met their mentors and planned and carried out first joint activities. The accompanying program offers a range of workshops, company visits and insights in the political work of parliamentarians. The comprehensive manual on Cultural Education was published in November 2012. Anke Schad and Peter Szokol/EDUCULT have contributed an article on “Resources for Cultural Education in Europe”. The committee of regions of the EU (CoR) held its latest session in Brussels in November. The subcommittee for culture and education and the plenary of the CoR dealt with the European Capitals of Culture 2020-2033. The representative of the city of Vienna Elisabeth Vitouch acted as a rapporteur presenting a report on the decision-making on the future of the program from the perspective of European regions. EDUCULT director Michael Wimmer consulted Mrs Vitouch in the preparation of this task. The UNESCO chairs in Arts Education and the partners of the International Network for Research in Arts Education – INRAE, will meet in spring 20133 for a symposium in Germany. The World Summit on Arts Education 2013, Polylogue II, combines the requirements of an academic symposium with the need for strategic planning and discussion with different stakeholders – research units, NGOs and governmental bodies. The final report of the European Statistical System network on culture (ESSnet Culture) was published in October 2012. The new frame for statistical purposes was developed and can be read in report available at the webpage.